One of tweets said, Rescue teams are looking for survivors after a high-speed train crashed into an engine that was checking the tracks at a station in Turkey‘s capital, Ankara Governor Vasip Sahin. Media reports, seven people have died and 46 have been wounded in a high-speed train crash in Turkey’s capital, Ankara. Reuters reports, citing government officials. an official from the Ankara governor’s office told Reuters that the crash was caused by a collision with a local train. 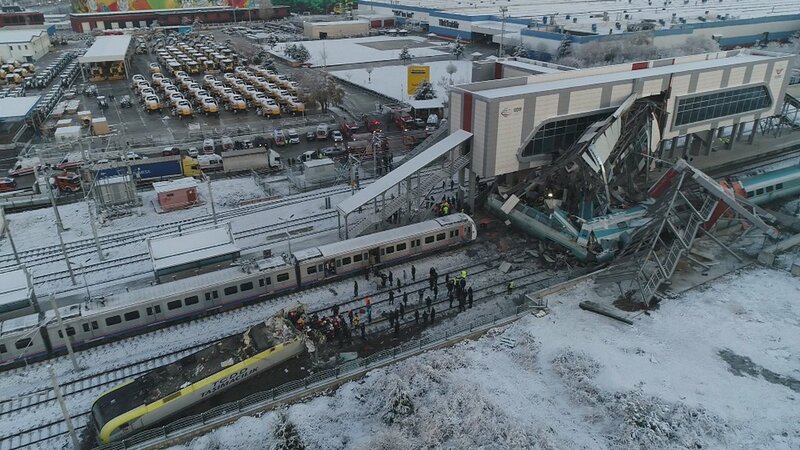 Twitter images from the scene show vast amount of debris around the rail track and heavily damaged train cars at the scene of the crash that happened on Ankara-Konya route. Local emergency services, fire and National Medical Rescue teams (UMKE) have been dispatched to the scene of the incident, which occurred around 6:40 am Thursday morning.